Microsoft has teased an addition to its growing stable of Surface-branded hardware on Twitter. 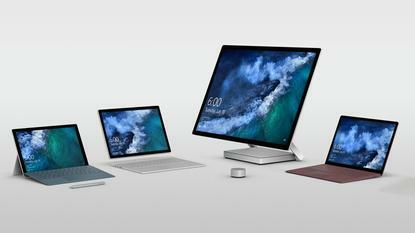 The official Microsoft Surface Twitter account posted an image of the current line-up of Surface products and the vague caption: "Where will Surface go next?" Savvy readers noted that each of the devices in the image all bear the same timestamp - 6:00AM, July 10th - and are expecting an official announcement to come within the next day or so. Previous speculation has suggested the Microsoft might be looking to launch a cheaper Surface tablet to better position it to compete against Apple's iPads and Google's Chromebooks in the education space.